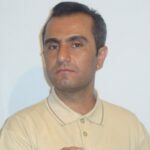 Human Rights Activists News Agency (HRANA) – Ejlal Ghavami, journalist and human rights activist, was summoned to Branch 2 of the Sanandaj Revolutionary Court (western Iran) in a new case. “I will be tried on November 18th in relation to a previous case, this is another case,” Mr Ghavami said in a note. Ejlal Ghavami was previously charged with “Propaganda against the regime”, “Speaking to anti-regime media”, “Disseminating lies” and “Insulting the Islamic Revolutionary Guard Corps (IRGC)”. He was acquitted, but upon objections from the Prosecutor, his case was sent to an appeals court. On June 9, 2018, Mr Ghavami was summoned to the Intelligence office of the IRGC along with Hiwa Rahimi and Ahmad Khalighi, two other civil rights activists from the Kurdistan province. 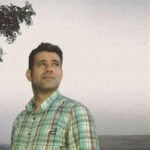 Late last year, he was summoned to Branch 1 of Prosecutor’s office in the Kurdistan province after he was interrogated by the Iranian Cyber Police (FATA). Mr Ghavami was interrogated by FATA in Sanandaj and on Monday, March 25, 2018, he was charged with “Relation and cooperation with anti-regime channels” and “Disseminating lies and illegal contents”.